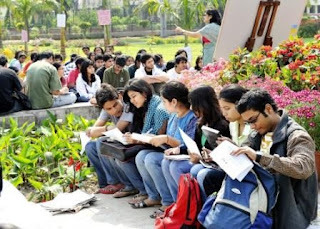 New Delhi, Apr 3 : Northeastern students applying to various colleges under Delhi University (DU) in the coming June-July academic session will have a helpline number, a helpdesk and a joint coordination committee catering to their admission queries and needs. The National Students' Union of India (NSUI) gave this information on Monday at a press conference. NSUI, which is the students' wing of the Indian National Conference, also spoke about proposals to be placed before the chief minister and the education minister. At a meeting held in Delhi last month, which was attended by DU president Ajay Shikara, a representative of the state government and two non-political students' associations, NSUI submitted some proposals of initiatives catering to the needs of students from the northeast that were accepted by the president of DU. A helpdesk will also be made available to give students easy access to information regarding admissions. The helpdesk will be made available at both the north and south campuses of DU, and is expected to help students travelling to Delhi for the first time. NSUI also highlighted the security problem faced by students from the region at the meeting, prompting a proposal and a discussion on forming a coordination committee with Delhi Police. "Last month at the meeting, we made a number of proposals, some of which were accepted by the president of DU. These will be implemented in the coming academic sessions and will help students from the region. We had asked the state government to include some provisions for setting up of institutes imparting vocational and skill development and they agreed to set up 21 such colleges in the budget," said Partho Pratim Bora, president, Assam NSUI. NSUI at the press conference asked the state government to ensure free admission for disabled and BPL students to degree courses. NSUI also made an appeal to the ASEB not to cut of electric supply in the evening so the study time of students is not hampered. They will be submit memorandums on both these pleas. The students' wing also came down heavily on Seba for causing serious inconveniences for students during the matric examination. It put forward proposals to start an anti-ragging helpline, open one UPSC coaching centre in Delhi and one in Guwahati for northeastern students, and two state transport busses especially for Gauhati University students.